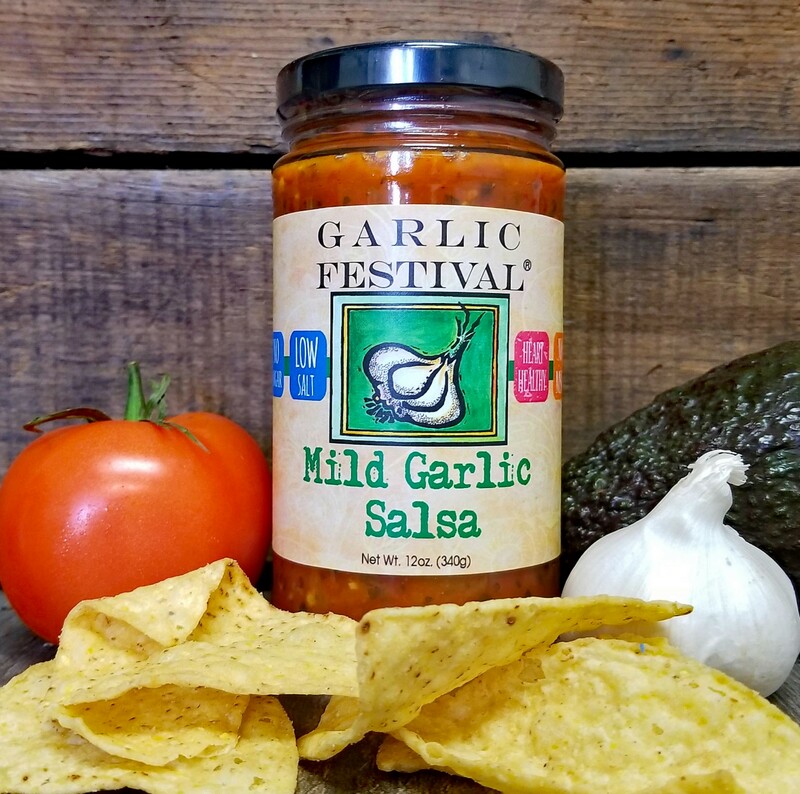 Enjoy the fresh, all natural flavor of our mild garlic salsa. Using vine ripened tomatoes, garlic and onion makes this garlic salsa certain to please. Especially nice with any grilled fish or chicken or simply use as a dip for chips. Believe it or not: pour over pasta for a delicious and quick treat. All natural and NO FAT! Ingredients: Tomatoes, water, green chilies, white distilled vinegar, dried onion, canola oil, dried garlic, salt, spices. Shelf Life: One of the most common questions we receive concerns the shelf life of our products; with a few people (luckily, very few) thinking that shelf life and half-life* are synonymous. The answer for each category is different. Most spice companies (whose names we don't mention) advise replacing herbs and spices every few months as they tend to lose potency and freshness. In general, that's probably a good practice. Herbs & spices, unlike wine, do not improve with age. However, we have found that Garli Garni, stored properly, can easily last up to a year. What is properly, you ask? Store Garli Garni and all other seasonings in a cool, dry, dark place. If you have a small shaker, refill it from your big one. This is great salsa. Love the garlic in it. Will buy it again. I have been buying garlic mustard for years & thought I would try this salsa. It is wonderful so I bought 4 more. My entire family likes it. It is really really good. Absolute loved the salsa! Garlicky, a little smoky. Awesome! You don't have to be a garlic lover to enjoy this salsa. Great on scrambled eggs or anything else you might think it would be good on. I actually got this for my husband, as well as other products, for his birthday and he loved it! Quality was amazing and he told me he wished I had ordered more and we must do that soon. Was a little hesitant on this Salsa, but it is fantastic. Really fresh tasting and of course there is garlic....can't ever have too much of that! This is a very tasty salsa. Tried it first at River Run Winery and was hooked, so bought several jars. Versatile for many things, and great with chips. I liked it so much that I am going to place an order for the larger size -- and I want to try the spicy version of the salsa, too. Really tasty!